Kinston, N.C. – Lenoir County and Lenoir County Economic Development announced today that Moen Incorporated will be expanding its operations in the County and investing over $15 million and adding 35 new jobs in Kinston over the next five years. As the #1 faucet brand in North America, Moen offers a diverse selection of thoughtfully designed kitchen and bath faucets, showerheads, accessories, bath safety products, garbage disposals and kitchen sinks for residential and commercial applications each delivering the best possible combination of meaningful innovation, useful features, and lasting value. 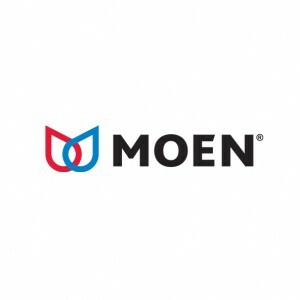 Moen is dedicated to designing and delivering beautiful products that last a lifetime – all over the world. The project was made possible in part by a performance-based grant from Lenoir County of up to $450,000. Companies receive no money up front and must meet investment performance standards to qualify for reimbursement. Local governments utilize these grants to attract business projects that will stimulate economic activity. In addition to Lenoir County and Lenoir County Economic Development Office, other partners that helped with this project include: North Carolina Community College System, North Carolina Global TransPark, Lenoir Community College, North Carolina’s Southeast Regional Economic Development Partnership, Lenoir Committee of 100, Inc., City of Kinston, and Barnhill Contracting Company. Promote economic development in Lenoir County by establishing a diverse employment base with challenging and rewarding jobs for future generations, and a tax base that will support the enhancement of the community’s foundation and quality of life.